One of the major themes in flooring design today is the use of natural materials. Flooring is one of the primary elements of any living space, and for a home with a natural look and vibe, plastic fibers and manufactured colors just won't do. 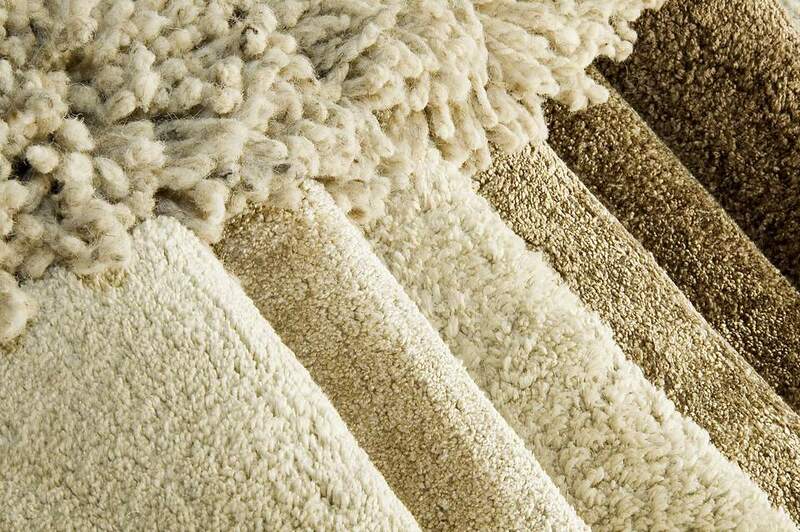 While most carpeting is made up at least partially of synthetic fibers, there are a few choices that are entirely natural. These are prized for their rich textures and authentic natural weave and the fact that they are made from eco-friendly renewable resources. Despite the fact that small spills will be deflected by the individual fibers, wool still needs to be installed in a relatively dry area and should not be immersed in water, or mildew may form. 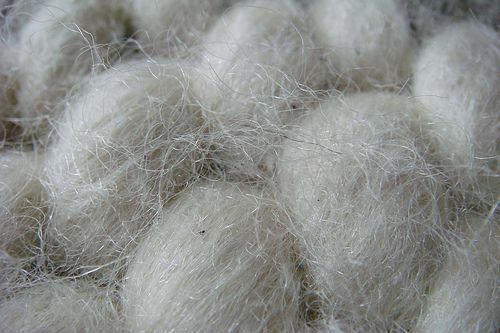 In some cases, wool can be blended with hemp fibers to create a carpet that is resistant to the growth of mold and mildew. Wool carpeting combines all of these characteristics with a soft, cushiony feel that makes this a premium flooring material. Unfortunately, you will often have to pay for that premium, and wool carpets are generally much more expensive than their synthetic counterparts. Seagrass is a smooth anti-static carpet that is made from all-natural plant fibers. The crop it is manufactured from is grown similarly to rice and is planted in paddy fields that are flooded with seawater each year during the growing season. Thus the name seagrass. The tough fibers of this material are nearly impermeable, which means that it is resistant to stains, dirt, and discoloration. Unfortunately, that also means that it is not able to be dyed or otherwise colored by the manufacturer, and it is available only in its natural hue. In some cases, colored weft strings are woven through the fibers of the carpet to create contrasting effects. One major drawback to seagrass carpeting is that it is susceptible to damage from moisture. In wet environments, it may also be subject to the growth of mold and mildew. To prevent problems, spills should be wiped up immediately. It's also not a good choice for wet kitchens or bathrooms. Because the fibers are so smooth—and possibly slippery—seagrass carpeting installed on stairs should be laid with the grain facing parallel to the step treads. An inexpensive natural carpet material, coir is manufactured from the husks of coconuts. It is a coarse material that has a naturally rustic look that is prized in cottage- and log cabin-style settings. It can also be woven into more sophisticated patterns, such as diamond, basketweave, and herringbone. Generally used in the manufacture of sacks and doormats, coir has an abrasive texture that makes it unsuitable for areas such as bedrooms or children’s rooms, where you want a soft, comfortable floor underfoot. It can, however, be used in high-traffic areas like hallways and living rooms. While it is naturally durable, coir is susceptible to staining. It also needs to be kept dry and should not be installed in wet environments. The loose weave of its fibers makes it potentially unsafe for use on stairs. Jute is manufactured from a plant that grows in subtropical regions of Asia. The plant is soaked in water, and then its stalks are stripped to make the individual fibers. It is most commonly used in the making of rope and as a carpet backing material. Jute is one of the softest and most inexpensive natural fiber carpet flooring choices available. Unfortunately, its soft surface means that it is not very durable, and it can suffer from wear and tear quite easily. It is most appropriate when used in low-traffic environments such as bedrooms. Sisal is a soft yet durable natural fiber carpet that is relatively easy to dye, making it very versatile for flooring design. It can stand up to high-traffic areas without being coarse or uncomfortable underfoot. Available in a wide variety of colors and patterns, sisal carpet can be used in almost any room of the house, although it must be used with caution around moisture, which can damage the fibers. The fact that sisal can be so easily dyed also means that it can be stained and require treatments to make it resistant to dirt and spills. Sisal is also relatively expensive, typically costing more than coir but less than wool.